Each and every member can contribute to the lodge in their own unique way. Many local charities and community organizations benefit from the money we raise for their specific causes. We strive to support ourselves as a member club, but also above and beyond in the county. Elk members across the nation pride themselves on being good volunteers and helping their local communities. Not only do our members volunteer for our own activities, they energetically plan and organize volunteer opportunities throughout Marin County. We love welcoming new people to help with cooking, decorations, set up, cleaning, administrative work, publicity, maintenance, hosting events and mostly just engaging with fellow Elks and having a good time. The Lodge is a safe place to meet new people, catch up with old friends, enjoy the lounge for book club, billiards, darts and dinners. We welcome men and women, families, children of all ages, singles, and guests of our members. Members, their families and guests may enjoy the swimming pool. 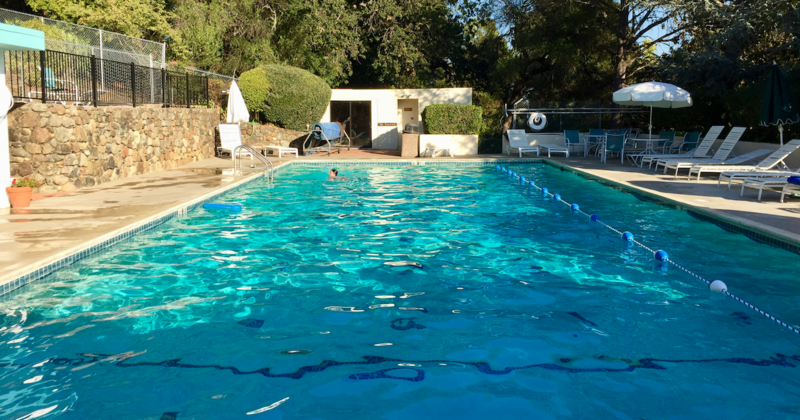 The pool is open from April 1 - October 31st, 7 days a week, from sunrise to sunset. There is a fee for additional family members and guests of cardholders.